Box Text: Welcome to a wacky, weird, wonderful world - the AMIDAR video game - where a crazy cast of characters go ape in a mad maze chase. Can you be quick enough to stay ahead of the pack and make your way through the maze? 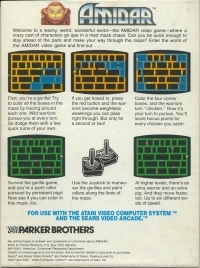 Enter the world of the AMIDAR video game and find out! 10-24-2017 aliensstudios Box Text Welcome to a wacky, weird, wonderful world - the AMIDAR video game - where a crazy cast of characters go ape in a mad maze chase. Can you be quick enough to stay ahead of the pack and make your way through the maze? 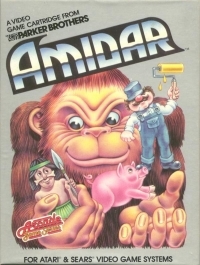 Enter the world of the AMIDAR video game and find out! 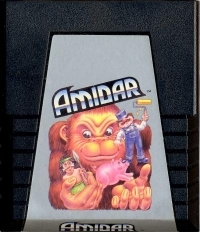 This is a list of VGCollect users who have Amidar in their Collection. This is a list of VGCollect users who have Amidar in their Sell List. This is a list of VGCollect users who have Amidar in their Wish List.